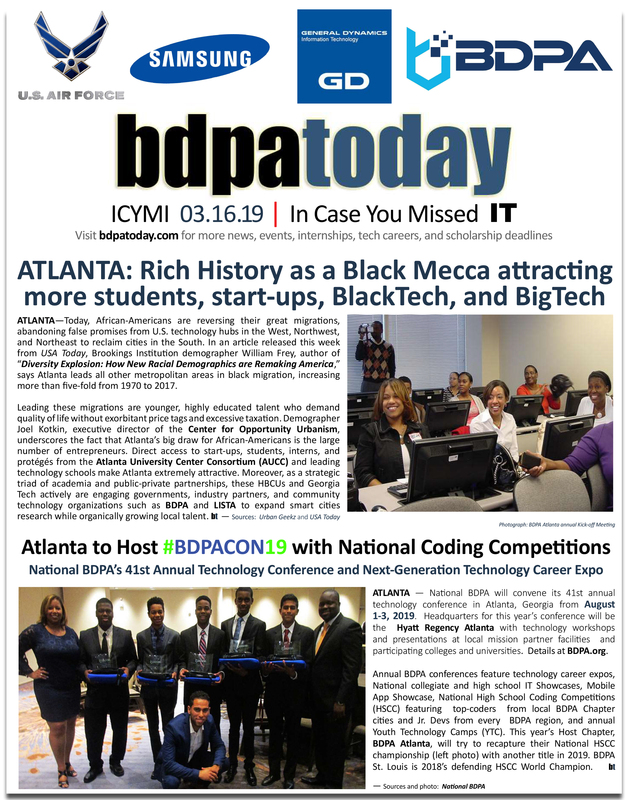 BDPA, formerly known as Black Data Processing Associates, was founded in 1975 to promote professional growth and technical development in underserved communities for those in or entering information and communications technology (ICT) oriented fields of interest and related industries. 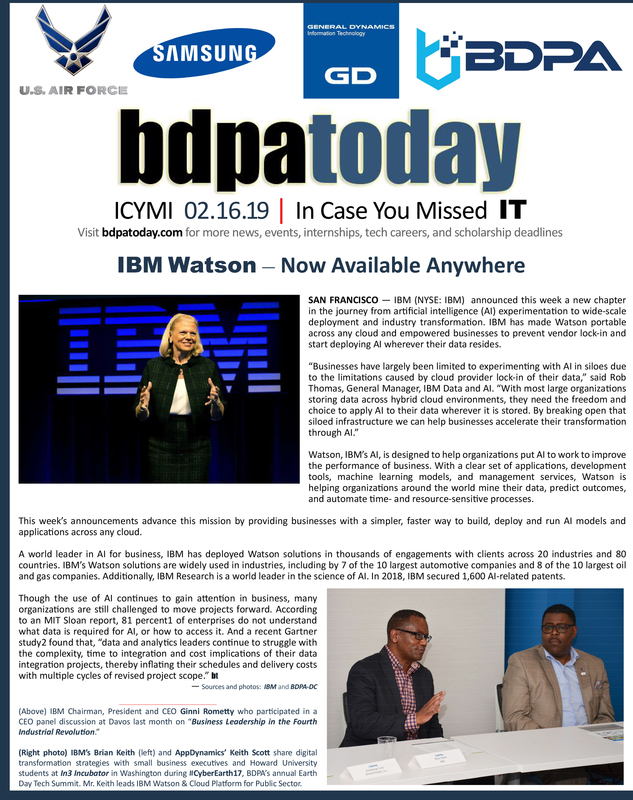 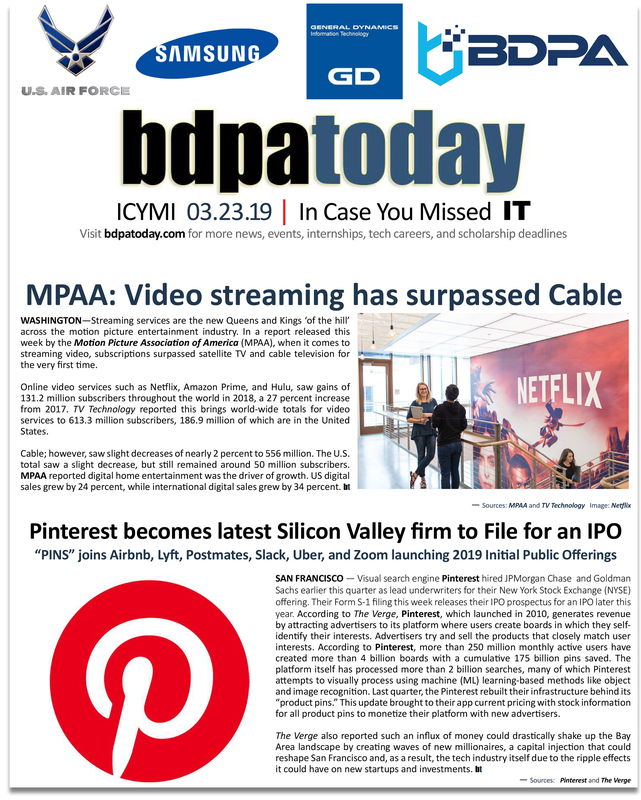 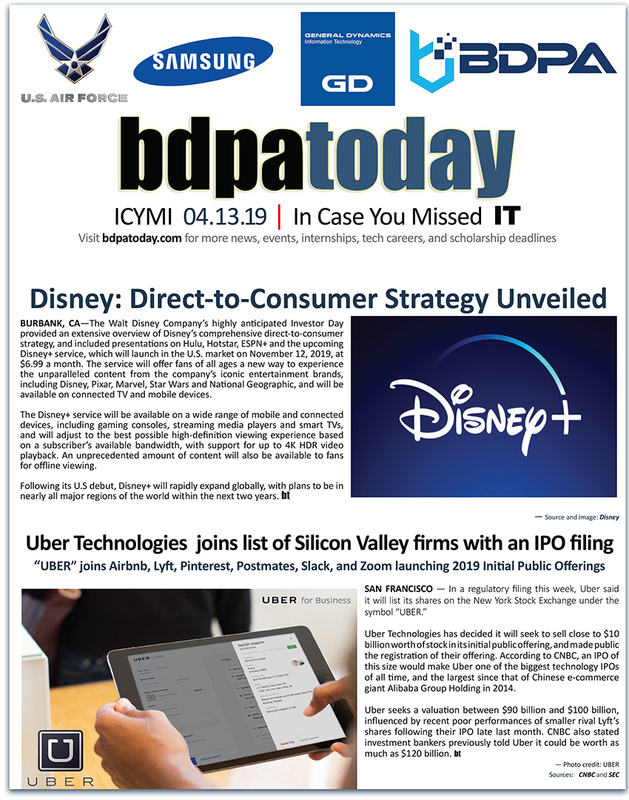 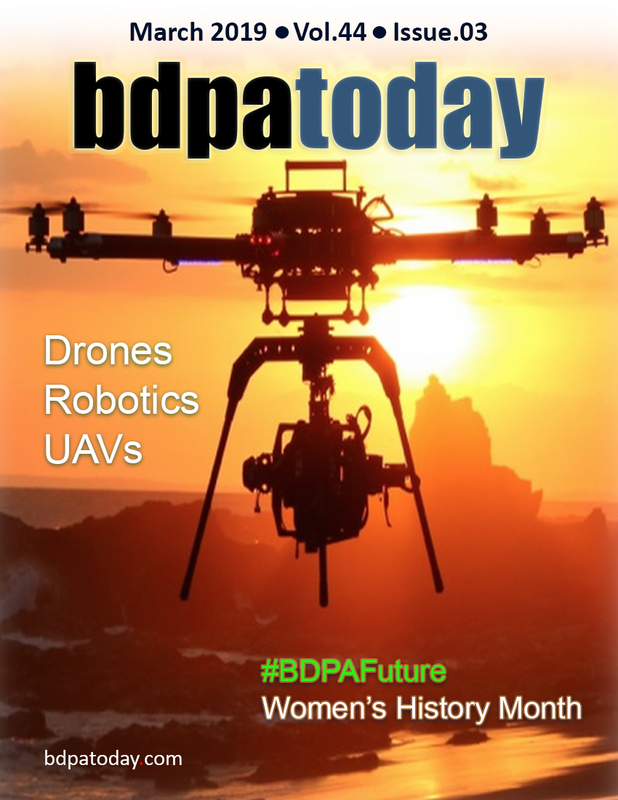 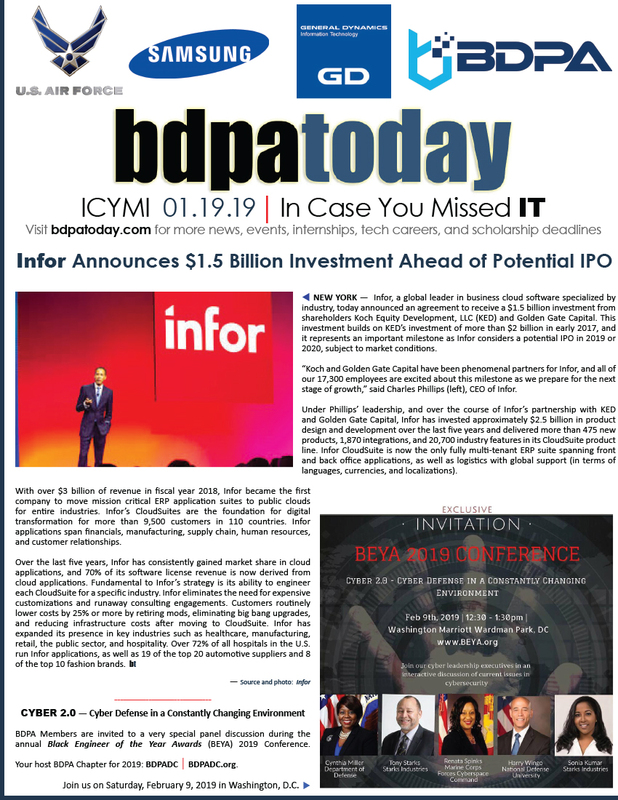 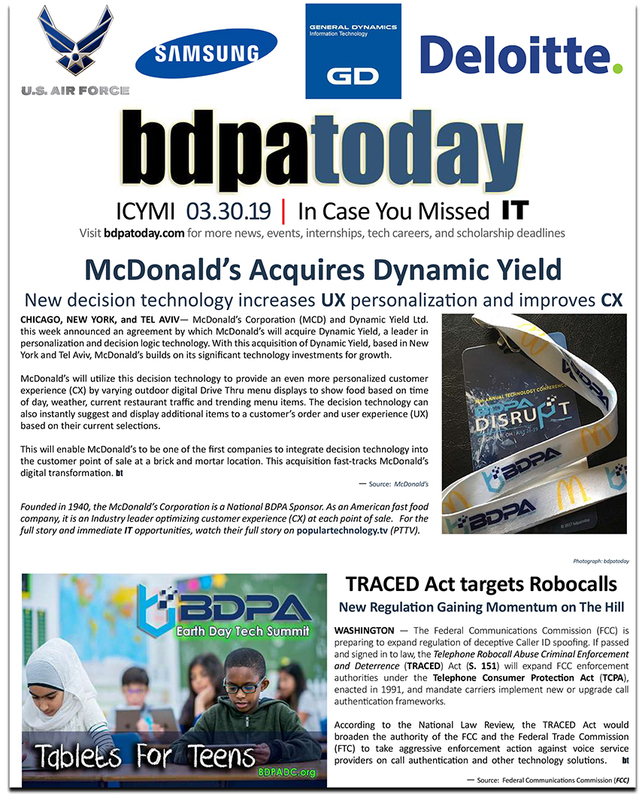 bdpatoday (ISSN 1946-1429) is a monthly periodical published by participating local BDPA Chapters of National BDPA (NBDPA) within their respective media markets by local BDPA Chapter Communications Committees. 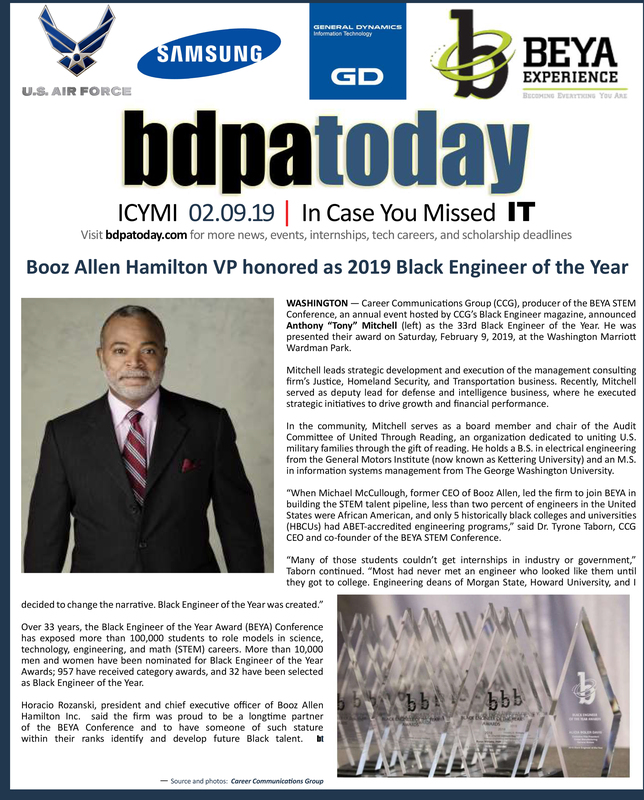 bdpatoday is mailed to BDPA members, BDPA corporate sponsors, and electronically delivered to local BDPA Chapter mission partners via email or social media as a benefit of membership. 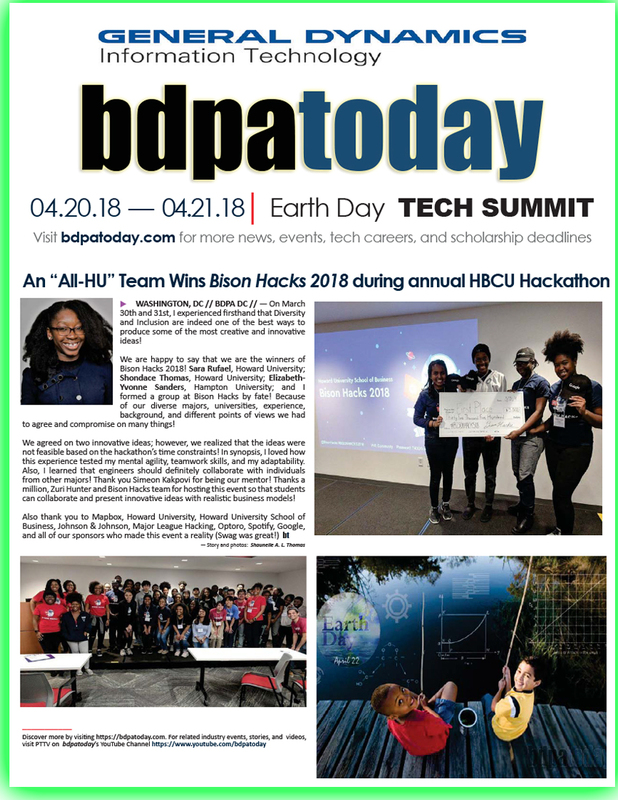 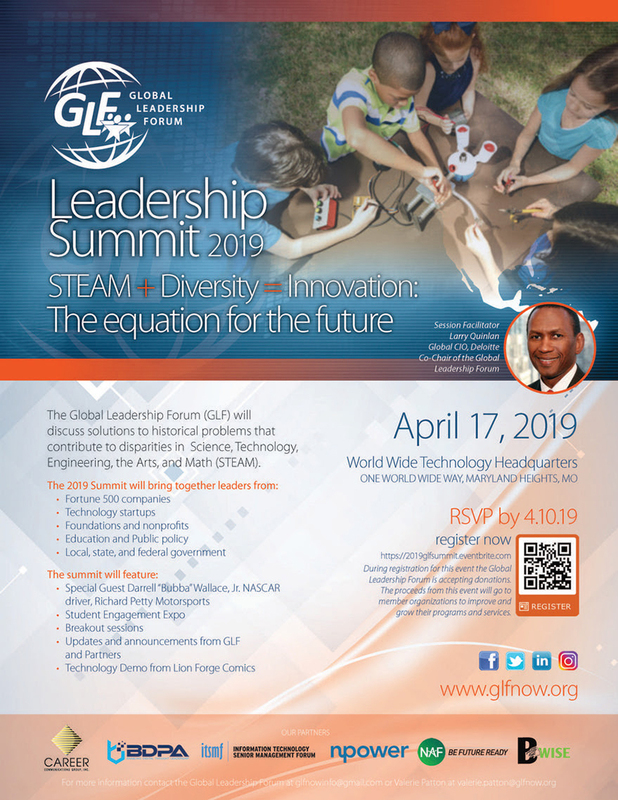 Popular Technology TV (PTTV) features the latest Tech-Inclusion innovations and multimedia programming content curated and produced for video streams and television programs by bdpatoday and National BDPA’s Washington, D.C. Chapter for general audiences. 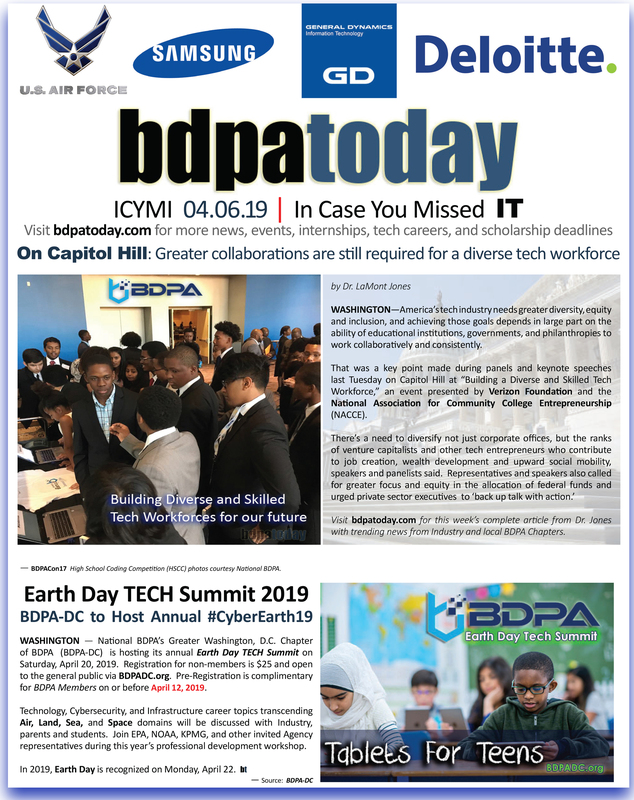 Up next with participating local BDPA Chapters are regional Earth Day Technology Summits. 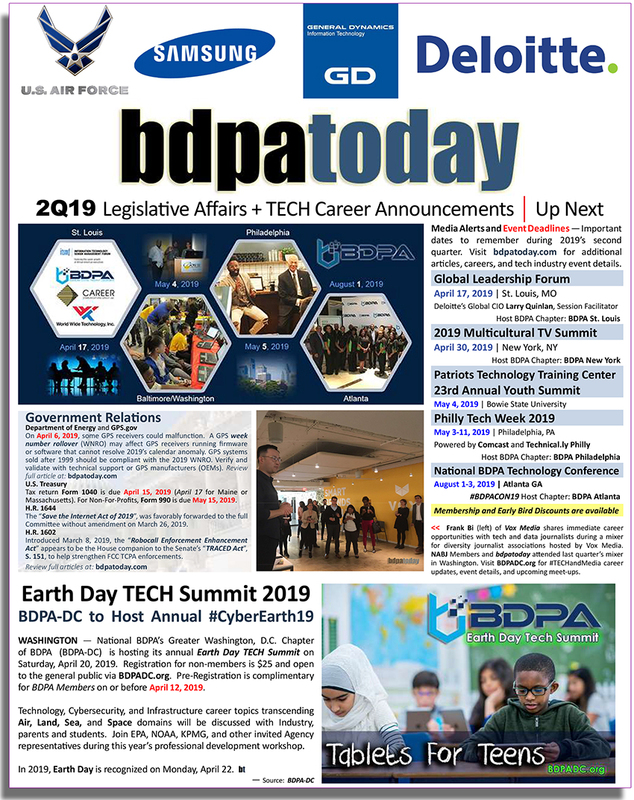 #CyberEarth19 topics ranging from 5G, Ai, Cyber, HPC, IoT, RPAs, UAS/UAVs, and XR include new innovative Smart City and Infrastructure solutions for Planet Earth across Air, Land, Sea, and Space domains. 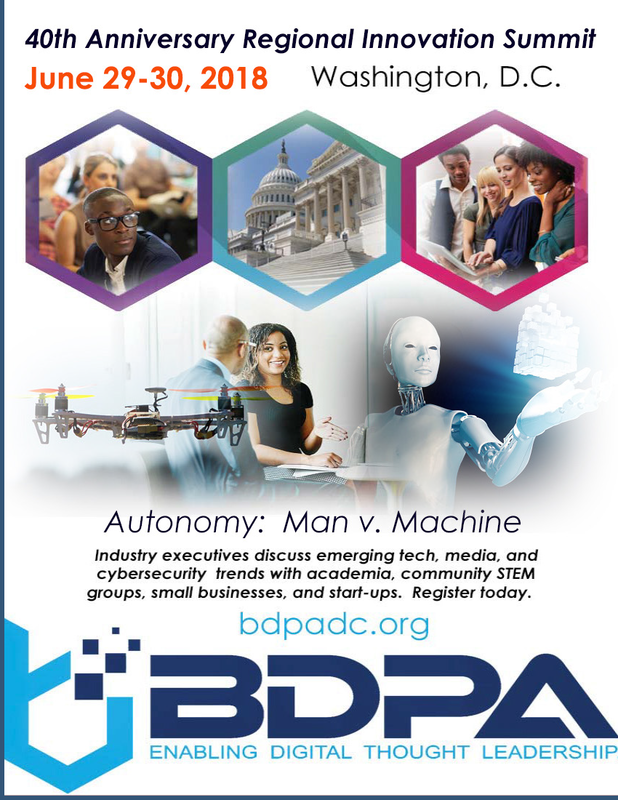 To participate, email: info@bdpa.org – OR – events@bdpadc.org .